This is a Series of 60 playing cards, the 52 cards plus 8 Jokers. 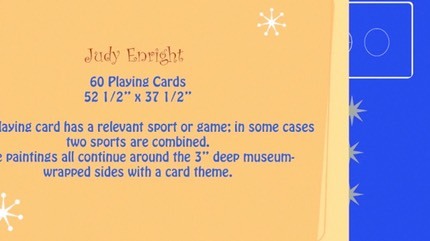 Each card has a game or sport and is 52 ½" x 37 ½" x 3". Time: 3 min. 11 sec.